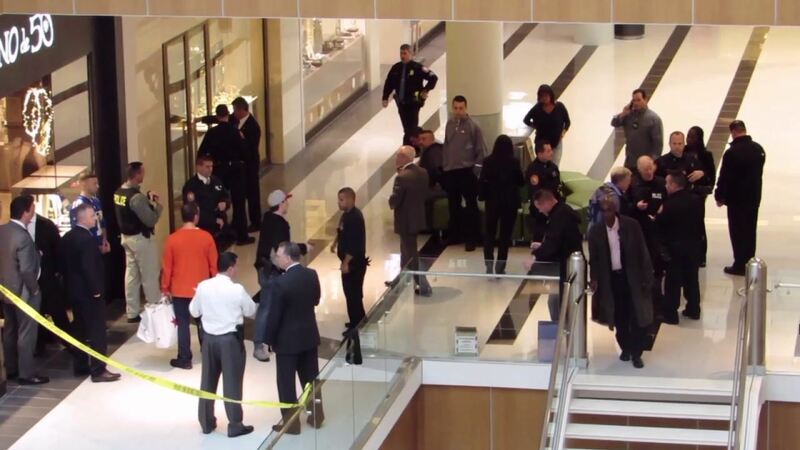 GARDEN CITY, Long Island (WABC) -- Police in Nassau County said one person was shot during an attempted robbery inside the Roosevelt Field Mall on Long Island Tuesday afternoon. 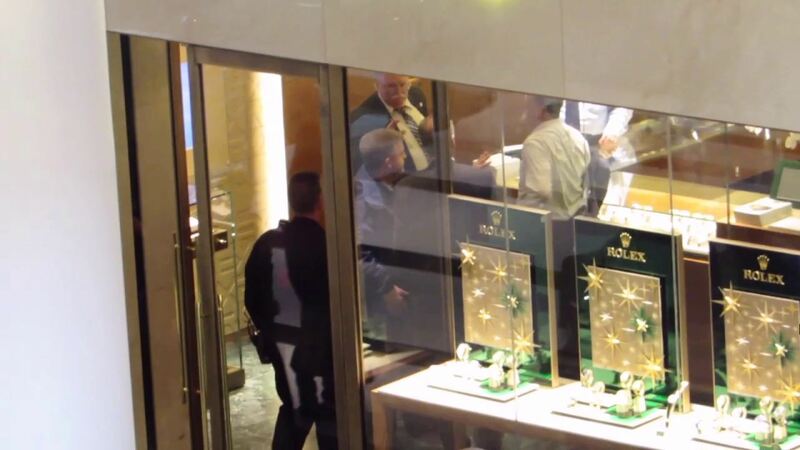 The shooting happened at about 1 p.m. at the Rolex section in the Tourneau store, which is located on the mall's main level next to Macy's. Police said one gunshot was fired during an attempted robbery, striking the back shoulder of a 67-year-old mall employee who was outside of the store at the time. 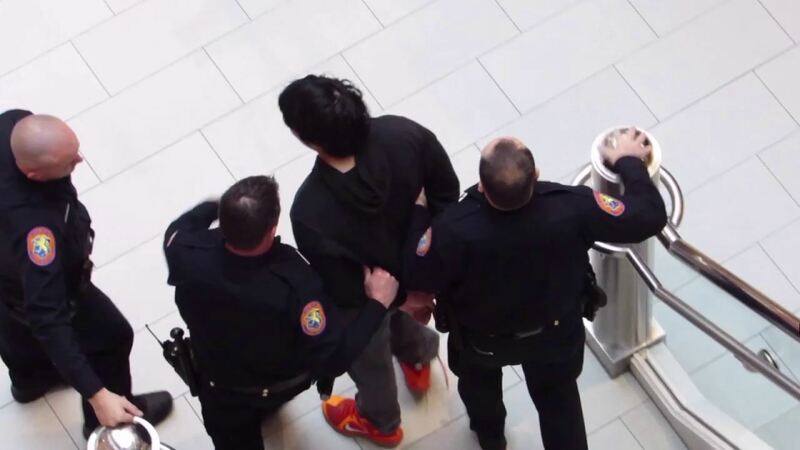 One suspect was immediately taken into custody an off-duty NYPD deputy inspector, who just so happened to be in the mall shopping at the time. Deputy Inspector Kenneth Lehr of the NYPD fugitive enforcement division immediately jumped in and apprehended the suspect. A gun was also recovered. The victim is in serious but stable condition. According to reports on social media from people inside the mall at the time, people fled to exit the mall after the shooting. So I was just shopping at Roosevelt Field mall and there were shots fired. Almost got trampled by people running out. Fun times. Idk what happened in Roosevelt field mall. All I know is that when I see a group of ppl running away from somewhere I run away too. "The safety of our tenants and shoppers remains a priority at all times. Roosevelt Field has been deemed safe by Nassau County Police Department for shoppers and employees and remains open to the public, with the exception of the area near the crime scene, as directed by Nassau County PD." Police said the mall was never evacuated and never closed, although parts of the mall were cleared out or put on lockdown for a short period. "This was not an active shooter situation, but as you can see by the Nassau County Police Department response here, we are prepared," said Ed Mangano, Nassau County Executive. Garden City schools said all schools were placed in lockout mode, with no entrance to any school being permitted during the ordeal. The Roosevelt Field Mall is located on Old Country Road in Garden City in Nassau County.